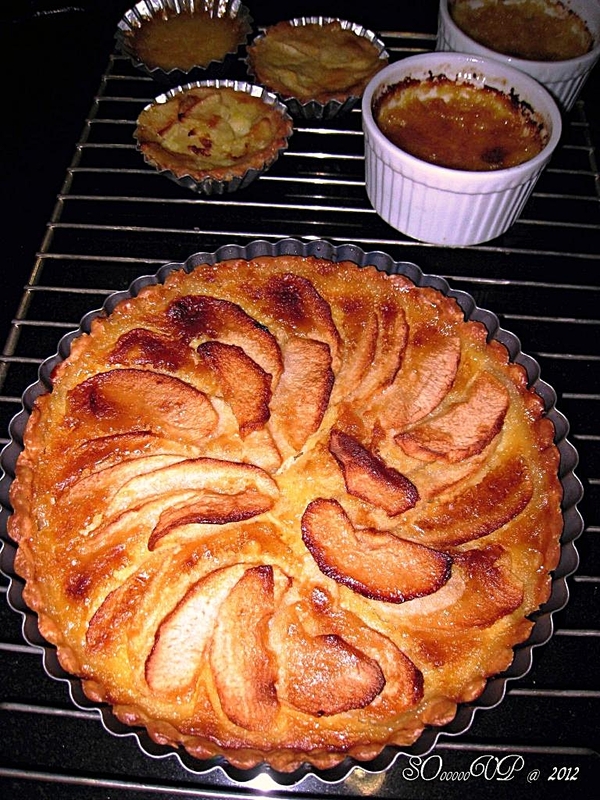 This pie was made using normal red apples which also gave a nice texture and aroma. The apples were stewed till soft. 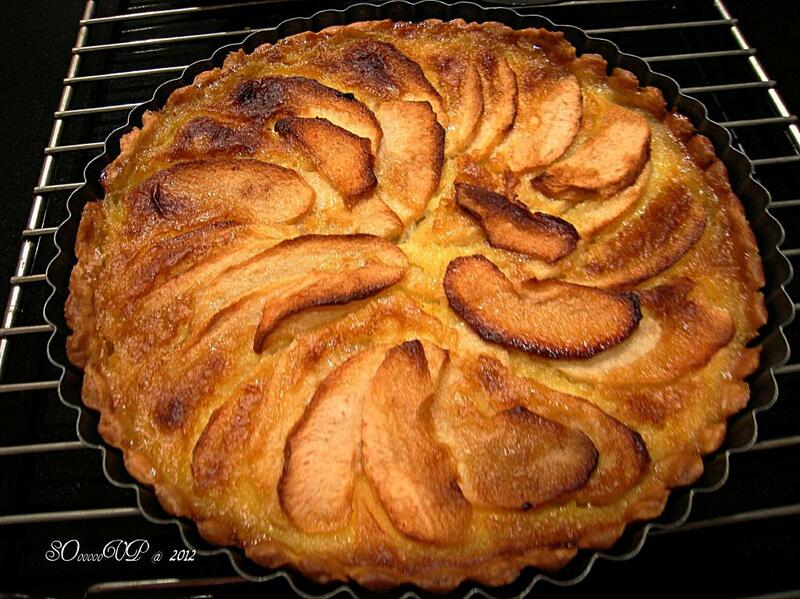 Hot creamy lemony custard was poured over the apples which were neatly arranged inside the pie. The pie was baked till custard was set and apples turned slightly caramelized.